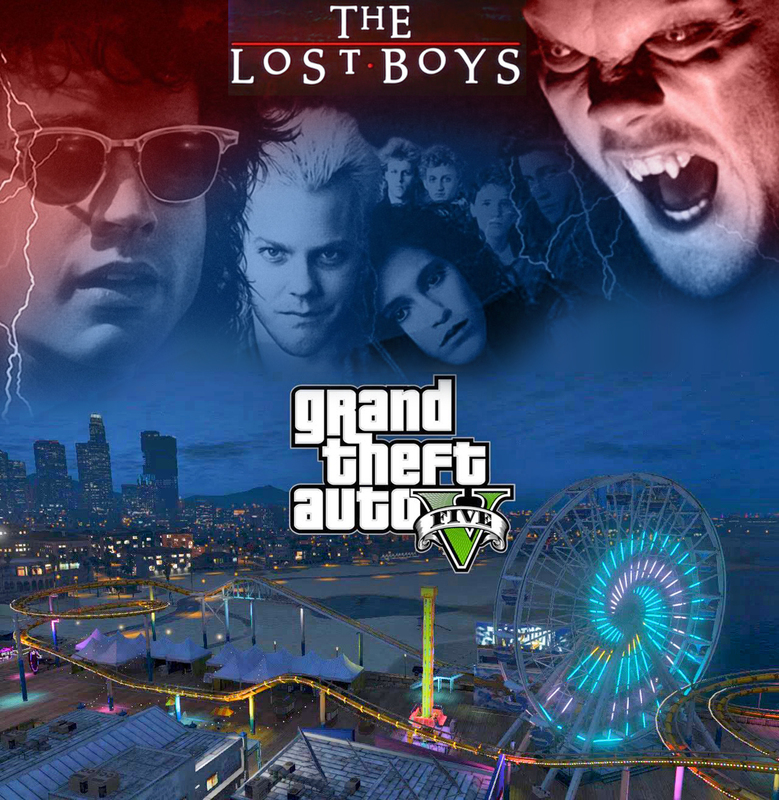 Where's the overlap between the beloved vampire film The Lost Boys and the open world game of Grand Theft Auto V? Besides the vampire tooth of the game's Roman numeral and besides the boardwalk setting? Off the top of our head, there are two music-related overlaps. First, there's the band Age of Consent, who provide GTAV's infectious theme "Colours" (chant it with us: "go out, late night; come home, daylight"). They recorded a cover of Tim Cappello's "I Still Believe" from The Lost Boys soundtrack. Second, the artist Twin Shadow (who serves as the DJ of Radio Mirror Park in the game and who offers the other standout track in the game, "Old Love / New Love"), has a song called "Golden Light," the chorus of which is an homage to the chorus of the film's memorable "Cry Little Sister" theme (chant it with us: "Thou shall not fall; thou shall not lie; thou shall not fear; thou shal not kill"). Twin Shadow's own lyrics are in the spirit of the film, too -- consider how this line, "Some people say there's a golden light -- you're the golden light -- and if I chase after you doesn't mean that it's true," recalls the film's character Michael who has newly arrived in the golden state and, feeling hopeless, chases after a creature of the night. In the game Grand Theft Auto V, members of a Scientology-like cult called Epsilon pray to the god Kifflom. We can offer an internet exclusive in answering "What does Kifflom mean?" The sounds of Kifflom, spoken backwards, intone the word malefic (from the Latin meaning ill-doing). 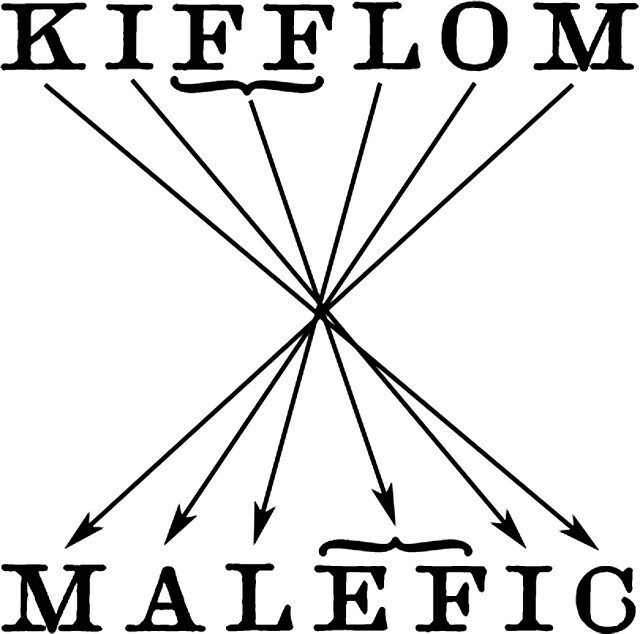 Note that the "kiff" at the beginning of Kifflom is the "fic" of malefic, backwards. The "lom" at the end of the Kifflom is the the "mal" at the beginning of malefic.